Our delicious fresh fruit gift hampers are welcome gifts for any occasion. 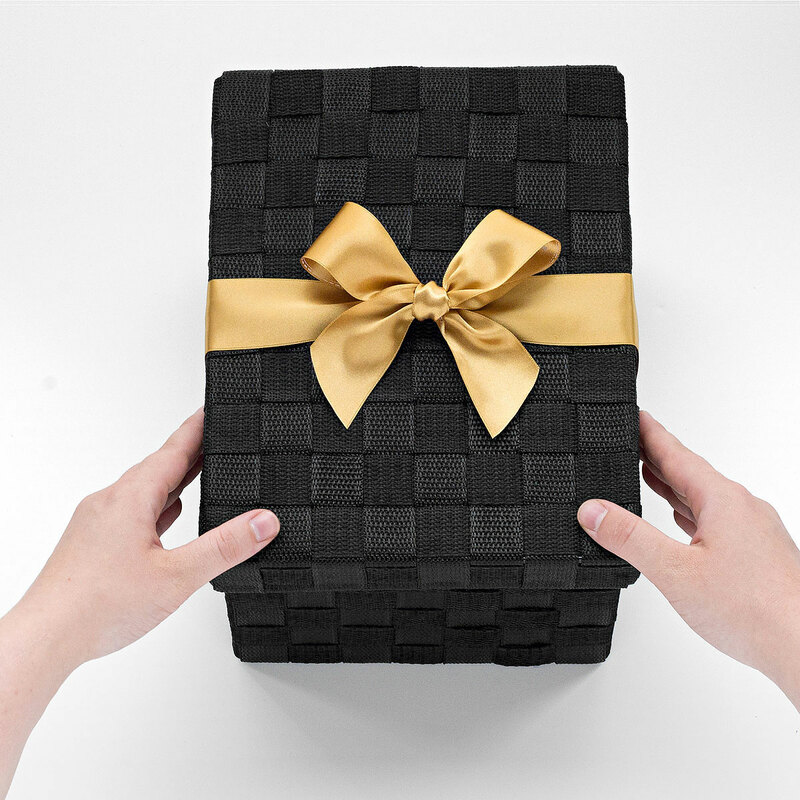 We hand pack the finest classic fruits into a beautiful woven gift basket. The ripe fruit is selected from the best of the season, and may include favorites such as grapes, apples, plums, and more. 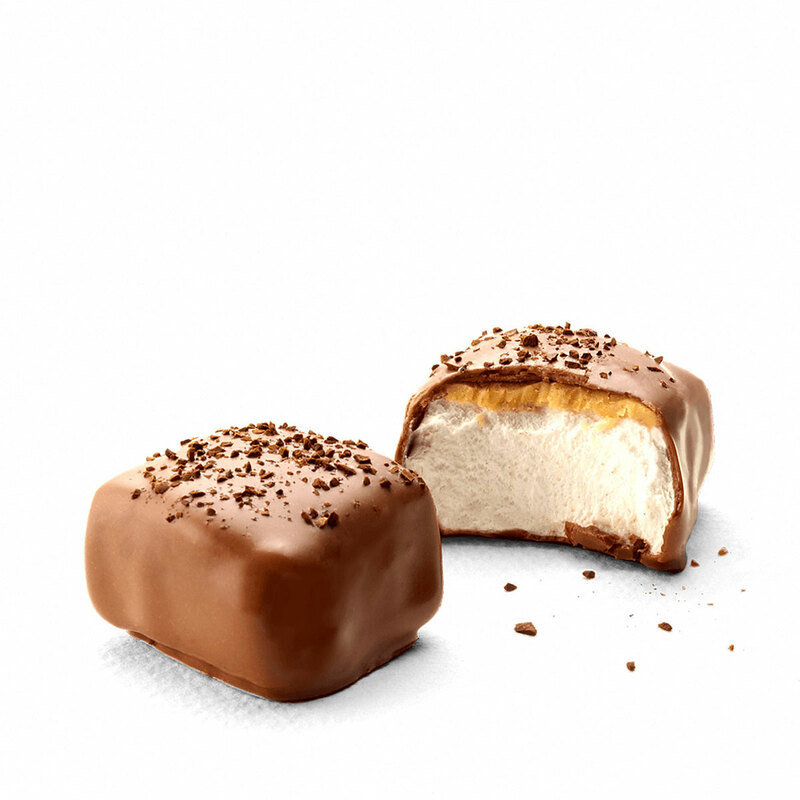 The juicy fruit is accompanied by a box of dream Barú marshmallow Coffee & Cream and a marshmallow bar Sea Salt Caramel. 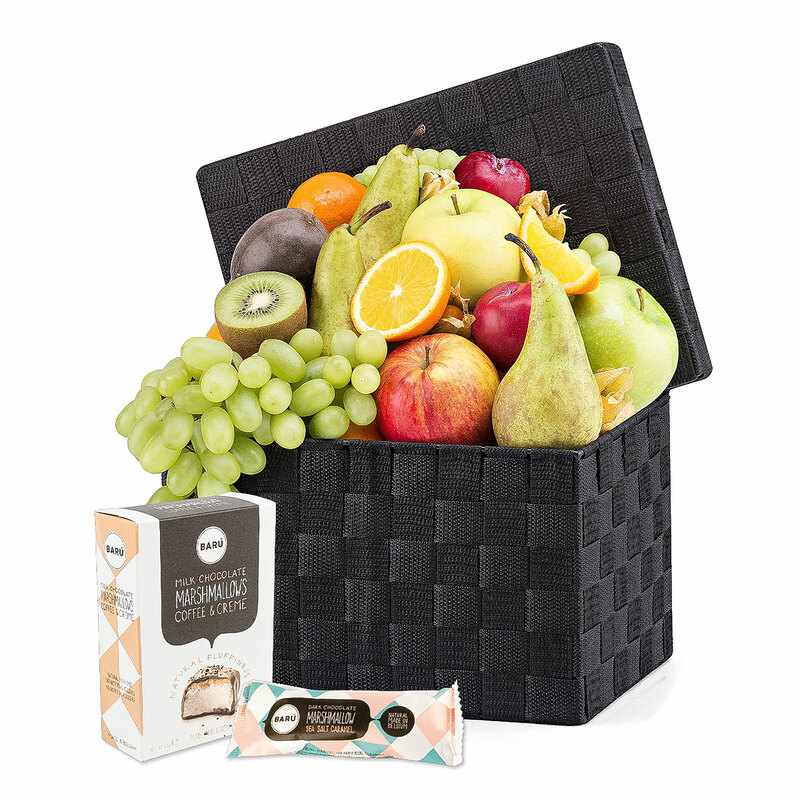 Send this fruit and chocolate gift basket for birthdays, holidays, a new baby, wedding, or just to make someone's day more delicious!